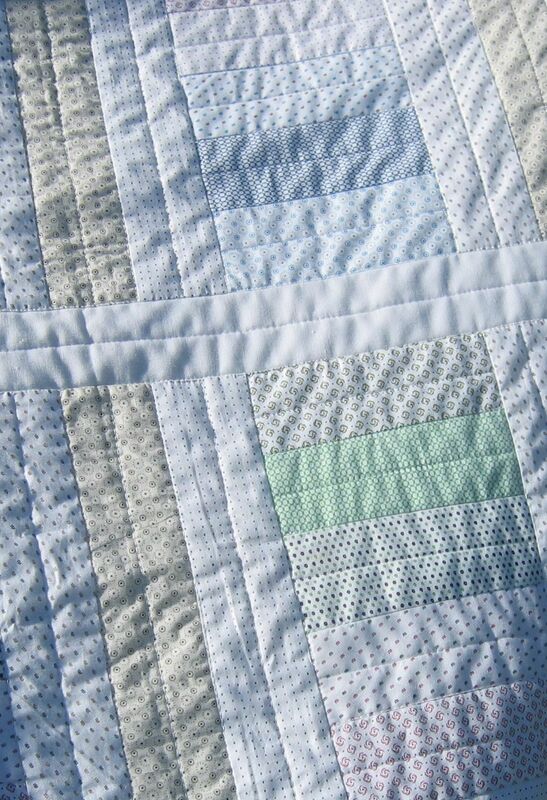 I really liked the simplicity of this ‘Chinese coins’ quilt — I suspect it was made from a jelly roll of fabric. The fabric was a crisp cotton, similar to the fabric used for quality men’s shirts and not like standard quilting fabric at all. Even the tiny patterns on the fabric were similar to that on men’s shirts. It leant itself perfectly to straight line ‘modern quilt’ stitching, so I used my favourite ‘Line Tamer‘ ruler to stitch the straight lines in white thread. I added an extra line in each strips and in the sashing strips, and extended the stitching on the vertical strips into the top and bottom borders. I think I have got to order that “Line Tamer” today!!! Very nice! I have a QOV that could benefit from a similar quilting pattern. 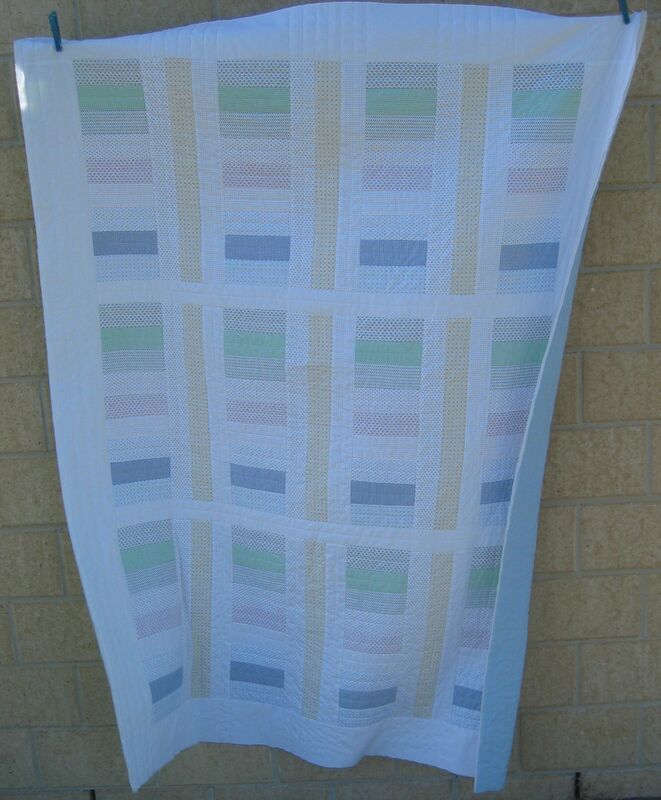 A great “low-volume” quilt – very popular in modern quilting at the moment!